When a lodging is called an inn you can usually count on a smaller and more home-like dwelling, with a strong element of graciousness, quiet elegance, and upscale hospitality. Many inns in the Mystic region of eastern Connecticut were built in the 18th and 19th centuries and are furnished with antiques or reproductions that surround visitors with the sense of earlier eras. CT inns highlight their locations and traditions, such at some of the waterfront inns of the Mystic region. 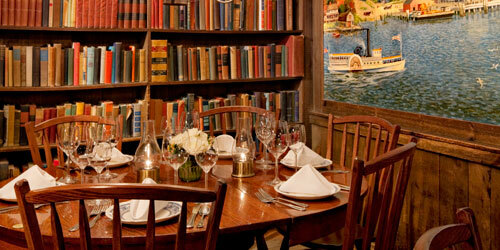 Often inns also offer fine dining in quiet, history-rich surroundings. 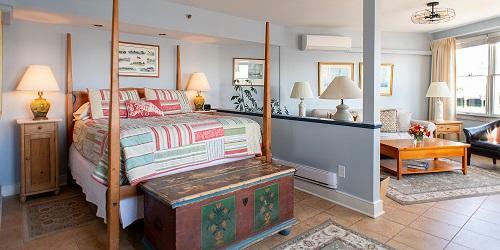 The Steamboat Inn, Mystic’s only waterfront property, boasts 11 luxurious rooms, all with gorgeous views of the water and decorated with antiques, many with wood-burning fireplaces and oversized whirlpool tubs. Each room is unique: One is directly dockside, another has floor-to-ceiling windows with sweeping water views. Walk outside the inn to enjoy this maritime town’s many restaurants, boutiques and shops or take a complimentary bike to explore the lovely streets of the former ship-building center. Guests may also book a trip aboard a two-masted schooner that sails right from Steamboat Wharf. The Mystic Seaport and the Mystic Aquarium are nearby, and it’s a short drive to antiques stores, golf courses, beaches and Foxwoods and Mohegan Sun resort casinos. 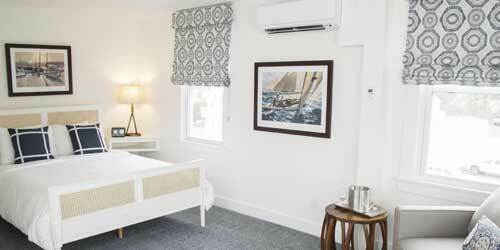 The Whaler's Inn is a charming historic inn located in the heart of Downtown Mystic. Guests can easily walk downtown's lively Main Street with its specialty shops, fine restaurants & pubs and scenic Mystic River Park. The famed Mystic Seaport is just a ten minute walk away. The Inn offers uniquely appointed guestrooms with private baths, TV, AC, Free Wi-Fi & many more amenities to make your stay as comfortable as possible. 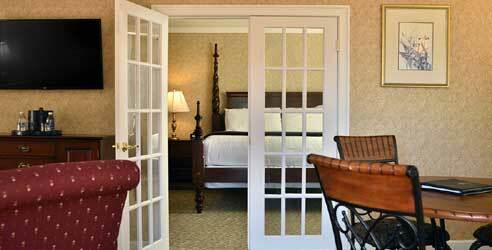 Luxury guestrooms with fireplaces, whirlpool tubs & water views are also available. Complimentary continental breakfast is served daily. An on-site Fitness Room & Business Center are added conveniences. Couples, business travelers, families, large groups or lonesome travelers are always welcome. Don't forget to check our monthly specials and packages! 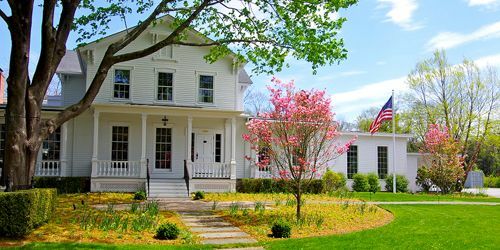 This historic Inn across from the picturesque Florence Griswold Museum offers a relaxing escape in a beautiful New England setting. With tradition in mind to retain the original beauty of the Old Lyme Inn estate, the thirteen fully restored guest rooms feature antique furniture original to the inn, custom duvets, organic linens and local artwork. There are also modern touches like gas fireplaces, Wi-Fi, separate sitting areas and tumbled marble bathrooms with large showers. The Inn’s restaurant has become a celebrated meeting place for visitors and locals alike offering traditional selections with a modern twist and stressing seasonal and local produce, meat, and seafood, farm-roasted coffee, and homemade ice cream. Enjoy acclaimed jazz musicians in the intimate Side Door Jazz Club. Come for the spa, stay for the inn! After settling in to one of the Spa at Norwich Inn’s guest rooms, suites (or splurge for a villa), you’ll want to see what the spa has to offer, from hot stone and Swedish massages to oatmeal cookie manicures, luminous facials and honey body wraps (the honey is from the inn’s hives). But you might also want to take a dip in the indoor pool or hot tub, hike through Devil’s Hopyard State Park (the view from the end is breathtaking) or have a tarot card reader peek into your future. Dining is a treat at Kensington’s, with a menu inspired by international and American cuisines. Or grab a cocktail (or a martini truffle) at Ascot’s Pub. The Captain Stannard Bed & Breakfast Country Inn has been warmly welcoming guests for years with its individually designed spacious rooms (each with a desk and easy chair), ironed sheets and sweets hand-delivered daily. The lovingly maintained inn, built by a sea captain in 1872 and completely refurbished a decade ago, features enough common rooms for guests to get to know each other over a game of billiards or a puzzle table, or to just relax with a book by the floor-to-ceiling great room hearth. Breakfasts feature homemade delicacies like plum crumble and lemon cloud pancakes, and the inn offers several itineraries – with everything from museums and theater to golf and river excursions – to help guests explore the beautiful coastal area. 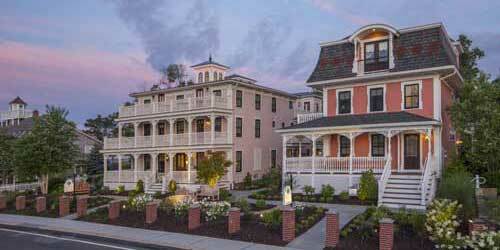 It figures that a beautiful historic seaport village called one of America’s “best small towns” would have an authentic New England Inn. Essex has the 1776 Griswold Inn, a combination of charm and style in 33 uniquely furnished rooms, some with fireplaces, others with views of the village or the nearby Connecticut River. With beds by Leonard's - whose beds also live in the White House, free internet access, private baths and continental breakfast, the amenities are in place. The "Gris" continues to be a favorite stopover for travelers with its warm, welcoming and spirited atmosphere. There is on-site catering for private events and weddings, three different dining options, a wine bar, an award winning Taproom with live entertainment nightly and enough close quarters for romantic interludes. Cozy and luxurious comforts abound in this elegant and historic inn. From dockside to the dining table, from room, suite or villa to the award winning spa, from pool to the sauna then out to the sun deck for the big finish, you’re in for a special treat. 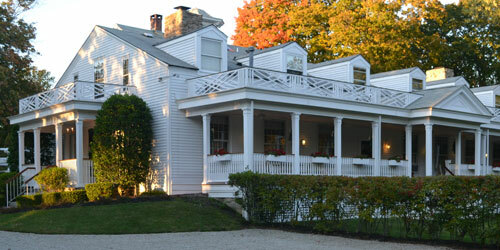 The Saybrook Inn had its start 130 years ago on the Long Island Sound near the Connecticut River. Along the way it learned a thing or two about guests looking for a peaceful setting with all the amenities. Here it is: spacious lodgings with complimentary wireless Internet access, European pillow-top mattresses, mini fridges and kitchens. The spa provides a host of lavish pleasures after which you can savor fresh, seasonal and local cuisine and impeccable service at the Fresh Salt Restaurant. 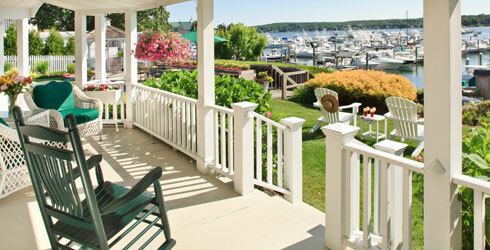 You'll forget your cares and remember how to relax at the Inn at Harbor Hill Marina. Our B&B offers rooms in two beautifully-restored turn-of-the-century buildings overlooking the harbor in Niantic, Conn. Every guestroom offers a view of the waterfront, as do our dining rooms. We serve a delicious complimentary breakfast buffet, with hot entrees like ham and egg strata and blueberry pancake cobbler. Spend your day strolling downtown Niantic, crowded with great restaurants, boutiques, unique shops, bookstores,. Enjoy sailing, golfing, or fishing. Take a day trip to one of many nearby attractions - Mystic Seaport, Mystic Aquarium, Watch Hill, Block Island and Newport. Walk to the beach; we've got passes. B&B.com lists us as one of the country's top ten inns, and we're a Select Registry member.